All suite hotel with indoor pool, fitness center, free continental breakfast and spacious meeting room. Whirlpool suites available. A variety of restaurants in the area. Located just off I-70 between Columbus and Dayton. Only 18 miles from Wright-Patterson Air Force Base and US Air Force Museum. 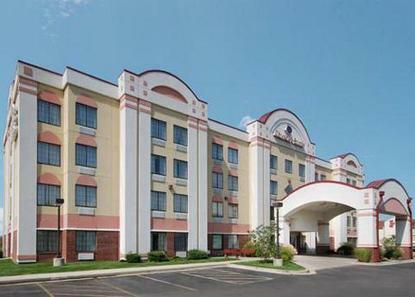 Twenty-five miles from Dayton International Airport and 40 miles from Columbus International Airport. Multiple antique malls nearby. Located only three miles from Wittenberg University and 11 miles from Cedarville University. Free high-speed Internet access available. Ask about the special PUDDER rate for Young's Jersey Dairy. Cash paying guests: 50.00 deposit required at check in. All Comfort Suites are smoke free.